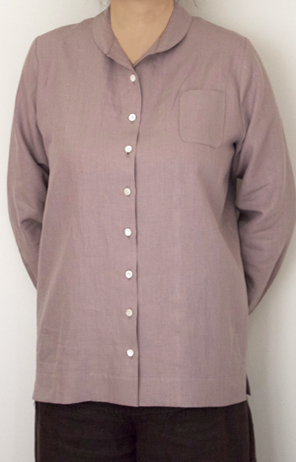 Easy relaxing blouse with shawl collar. 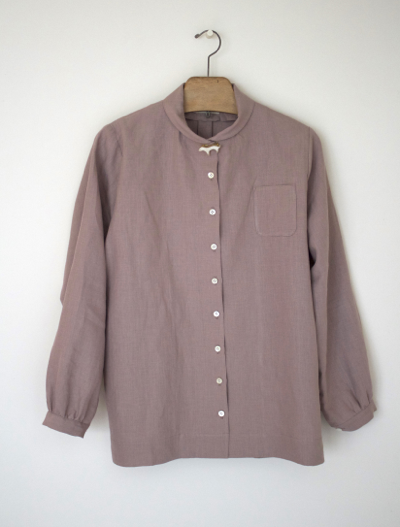 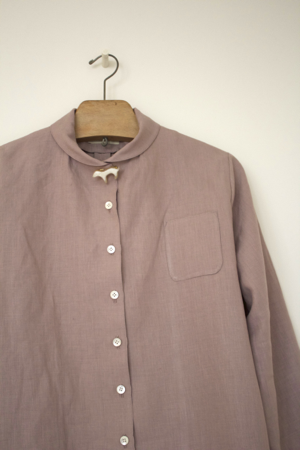 You can make it without top button and buttonhole, then the collar opens more. 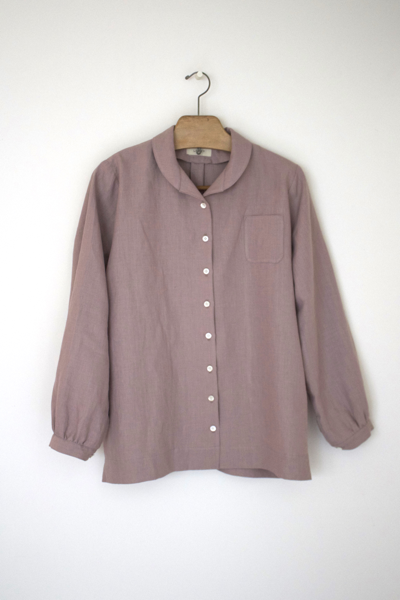 Suitable for layered style, with cut-sew or sweater in. 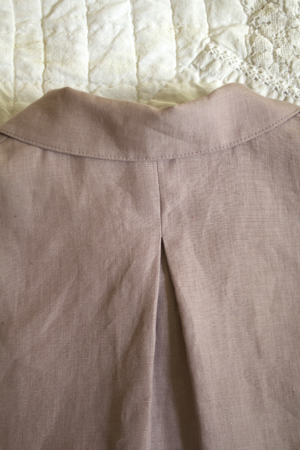 Also the bottom can fit into the skirt or pants, by relatively long length.